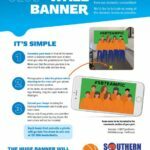 This Saturday Night our NBL1 teams return home for their opening games of the season! Our VYC teams then return to play on Sunday afternoon, with members of the VYC team returning to receive their VYC Championship Rings from the 2018 season. 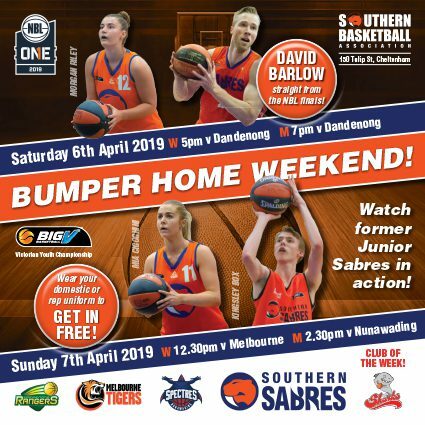 It promises to be a top notch weekend of basketball action, with NBL and WNBL stars David Barlow, Sam McDaniel, Rachel Jarry and Amelia Todhunter in action. 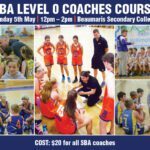 Sabres juniors Kingsley Box, Samuel Taulapiu, Ella Batish and Chloe Hicks will also be in action. Make sure you get down and support your teams!